The New York Liquid Asset Fund (NYLAF) is a premier cooperative investment program that is rated AAAm by Standard and Poor’s since 1998. Assistance in the construction, and on-going monitoring of an operating cash flow through the Cash Flow Optimization (CFO) program. NYLAF’s team of experienced investment professionals provide recommendations based on the individual needs of the Participant through this essential program. Bond Proceeds Management Solutions that include arbitrage rebate calculations and check writing. 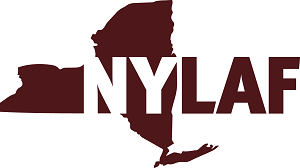 NYLAF leverages “cooperative investing power” to offer highly competitive investment opportunities, from Liquid products, to Collateralized CDs and Fixed Income Investments. NYLAF’s continued focus is to provide an unrivaled experience of investment and client service excellence on a daily basis to every Participant of the Fund.